Facebook's new Messenger app is free from predators. But that doesn't make it safe. The social media giant is making it that much easier for children to become addicted to their screens. These days, parents trying to keep their kids safe must worry not just about bike helmets and cars speeding down streets, but online predators and ads targeting kids. Facebook clearly had these parental worries in mind when they rolled out Messenger Kids, which does not include ads and allows parents to control their kids’ contact list. The press release, with its pictures of kids trying on Snapchat-eque dog filters, implicitly argues that the app is squeaky-clean fun. In terms of ads and contacts, it could be. However, it’s also yet another temptation for our kids to spend hours looking at a screen — and that might not be particularly safe for their mental health. In this context, Facebook isn’t a problem in and of itself. But by tailoring an app to children, the social media giant is making it that much easier for children to become addicted to an ever-increasing number of screens (while also converting them into loyal users at an earlier and earlier age). Putting aside the potential business implications, the potential health consequences of Messenger Kids should not be overlooked. In a recent study, my colleagues and I found that teens who spend 5 or more hours a day on electronic devices are 71% more likely to have at least one risk factor for suicide such as depression, thinking about suicide, making a suicide plan, or having attempted suicide in the past. As I found in my recent book, “iGen,” that might be one reason why depression, anxiety and suicide suddenly increased among teens around 2012, just when smartphones became popular. Three other studies suggest that most of the causation goes from screen time to depression; in other words, it does not seem like depression is causing people to spend more time on screens. 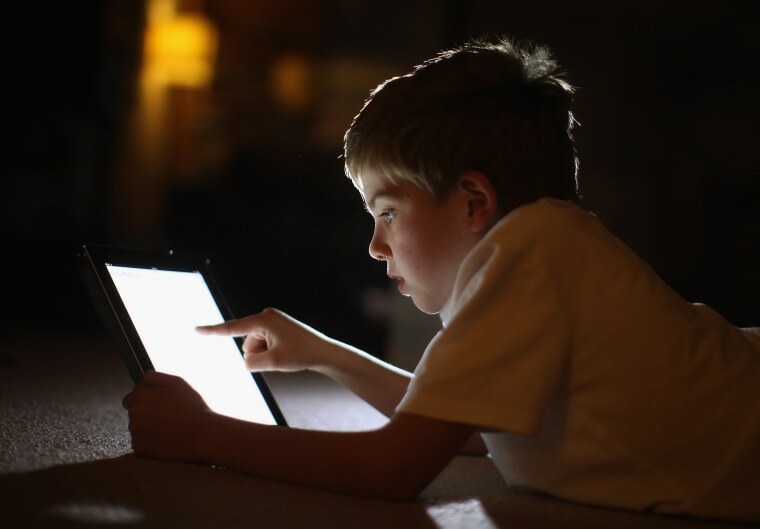 If screen time has this much impact on teens and adults, children — who are even further back on the path of developing social skills and emotional self-control — may be even more vulnerable. A recent analysis by the Centers for Disease Control and Prevention found that emergency room admissions for self-harm (such as cutting and taking pills) increased 63% between 2009 and 2015 among 15- to 19-year-old girls. Yet the increase for 10- to 14-year-old girls was even larger, nearly tripling over this 6-year period. There is no way to know for sure whether this increase was caused by smartphones and social media, but it does suggest that younger kids — especially girls — have become more vulnerable to mental health issues during the same time that younger and younger children began increasingly using tablets and smartphones (the average age for children getting their first smartphone is now 10). In our study, we found that using electronic devices up to 2 hours a day had little effect on teens’ mental health, suggesting that amount as a rough upper limit for screen use. Meanwhile, the American Academy of Pediatrics suggests that screen time for children, including TV, should be limited. With kids already spending time watching movies and videos and playing electronic games, it’s easy for them to exceed that limit even without the temptation of spending several hours seeing what they and their friends would look like with bunny ears or a flower crown. A little bit of this is fine, but when screen time grows to fill more and more of kids’ free time, they spend less time on more beneficial activities, such as face-to-face social interaction, physical exercise and sleep. So even if we call screen time a neutral for mental health, it can still have an impact if it crowds out time for all of the other things kids need to do to be happy and productive. Remember that up until now, kids under 13 could not technically use Facebook (13 is the site’s official age limit, although many kids simply lied about their age to join early). Messenger Kids is intended to be a way for younger kids to use the app without breaking the rules. That might mean more protections, but it also leaves screen-averse parents with one less weapon in their arsenal for not allowing children to join social media sites – “But we’re allowed to!” kids can now protest. And it’s tempting to let them, since it feels so safe. But safe from adult predators or not, young children are often just not ready for social media. A parent may allow her child to communicate with an approved friend on Messenger Kids, but what happens when the friendship changes and the messages aren’t friendly anymore? Especially among elementary and middle school kids, friends can become former friends — and sometimes bullies — very quickly. That’s devastating enough when it happens in person at school; now imagine it happening as your child looks at her phone or tablet. At my 11-year-old daughter’s elementary school, students have already used the app Music.ly to bully other kids by taking videos of them without their consent and posting them. A similar situation on Music.ly led to a 10-year-old girl’s suicide in Colorado last month. Kids are drawn to screens like the moon to water, and being a parent today can seem like a continual Battle of the Screens. Although it’s good that social media companies recognize the need for a “walled garden” for kids to play in, that digital walled garden needs more than no ads and a predator-free zone to be safe — it needs a bully-free zone, which is likely impossible with kids this age. The walled garden also needs something that’s possible but unlikely: A way to kick kids out of it so they can go back to playing outside, arguing with their siblings, and going to bed on time. Mark Zuckerberg might not agree, but from a health perspective, the dog filter can wait. 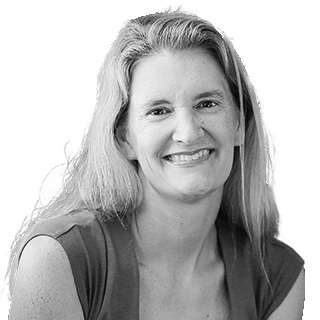 Jean M. Twenge is Professor of Psychology at San Diego State University and the author of "iGen: Why Today's Super-Connected Kids Are Growing Up Less Rebellious, More Tolerant, Less Happy — and Completely Unprepared for Adulthood." Jean M. Twenge is a Professor of Psychology at San Diego State University and the author of "iGen: Why Today's Super-Connected Kids Are Growing Up Less Rebellious, More Tolerant, Less Happy — and Completely Unprepared for Adulthood."